Austin Gears – Get your Gear on. Get your gear on for Gear Night- the oldest regular Gear Night in Texas. It is the place to meet and greet men of similar interest. All are welcome- but members get a few extras. Join us! We welcome your involvement. Join us for private events tailored to membership. 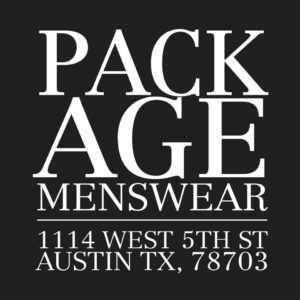 Austin Gears is a gay men's social group created to connect, educate, and inform about various gear events in the Austin area. We have a public gathering the first Saturday of every Month called "Gear Night" where we welcome men who are interested in leather, rubber, uniform, sport, and all gear fetish to gather with us and connect with others. We believe that Gear is a deeply personal choice. You define your own Gear. Whatever makes you feel good and gives you confidence. A few examples are suites, leather, diapers, rubber, boots, gloves, sport kit, cowboy, wrestling singlet, underwear, sunglasses, a dog collar, and more- the list is always open to expansion. What are you into? What gear turns you on? Join us for Gear Night and show it off. JOIN US FOR GEAR NIGHT! On the first Saturday of every month, we have a gear night that is hosted at The Iron Bear located in Austin, Texas. We have three simple guidelines: 1: You can wear whatever gear you like (even if there's a theme). Participating in street clothes is fine too. 2: Gear Night is a safe zone where people can express themselves with no fear of persecution. No one has a perfect body or perfect gear. Negative comments about someone's physique or gear is frowned on. 3: Respect all participant's personal space. Join our team for AIDS walk! 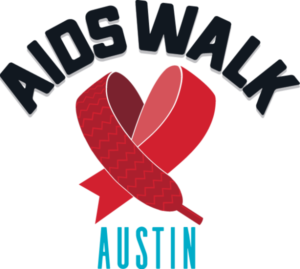 Austin Gears participates in ASA's annual AIDS Walk on November 3rd. AIDS Walk Austin raises funds for community services and programs for over 10,000 individuals and families throughout the Central Texas Community. Even if you do not walk, you can join our team and contribute to one of our major charities that keeps Austin healthy. On the Gear Night in November, we hold a contest to choose the years Mr Austin Gear. We invite judges from across the country and accept application from contestants from all over Texas. Mr Austin Gear represents the club as well as the Gears Community in Austin. He is encouraged to travel across the State, country, and internationally to promote the Gear and positive self expression. The winner is eligible for IML, MIR, and other Gear contests world-wide. See the winner for Mr Austin Gear 2018 announced. Our sponsors are local business. The Gears Council is made up of a broad range of men in the gears community. We are here to serve and encourage you to become involved. Please step up and say hello or to ask any questions about what we do. Joe is one of the original Gears Council founders. He has been a leader in Austin's leather community for many years and founded Central Texas boys of Leather. He has raised substantial funds for HIV/AIDS with his "sister" Tippi St. Claire. Toby has been on the Gears Council for 3 years. He is active in the community and encourages anyone who has questions about Gears to step up and say hello at Gear Night. Empress 25 Hexa Dulcé (Warren) has been on the Gears Council for 2 years. He is the current Empress of the United Court of Austin in the United Court System. He is often seen at Iron Bear on Thursdays making jello-shots for Gear Night. A native New Yorker, Brian moved to TX in 2003. Married to his partner of 10 years, Brian joined Gears to bring awareness to the community, and show how welcoming we are. Mr Austin Leather 2014, and Mr Texas Leather 2018, Peter moved to Austin from Chicago by way of NYC in 2004. Peter considers mentoring and teaching a major part giving back to the community. Eugene has been a member of Austin Gears since it was first chartered. He is also a member of the United Court of Austin. You can usually see him wearing short shorts on a Gear Night.